In 2015, for example, the Kremlin claimed it would build tanks armed with lasers, and in 2016, it was a space-based missile defense system. There are probably a number of reasons why these half-truths, exaggerations and downright lies continue to be spread. 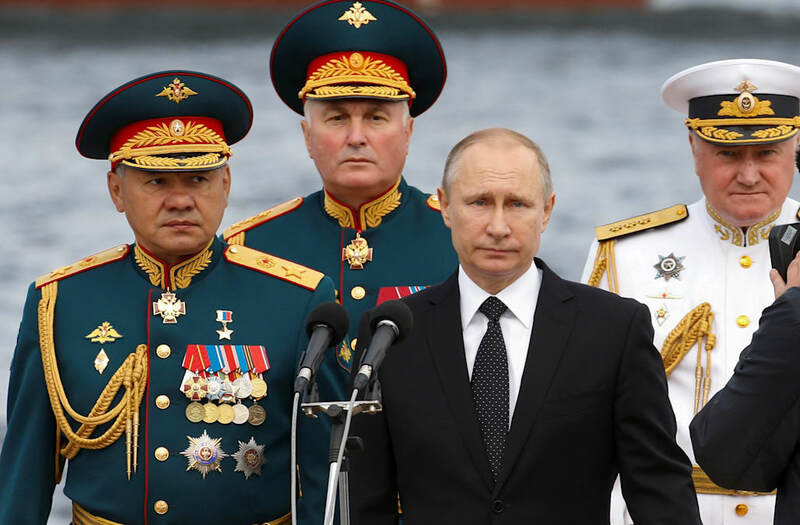 "National pride and the cult of patriotism that surrounds Putin and his cohorts," are some of the main ones, according to The National Interest. Part of it could also be a public relations ploy — an attempt to re-legitimize Russia's weapons industry to prospective purchasers. Whatever the reasons, there have been at least five such doozies in the last few months. 1. That its new T-14 Armata tank will be able to run on Mars. In late August, Sputnik, a Russian state-owned media outlet, said that the new T-14 tank would be "fit for Martian temperature." Although it has yet to be mass produced, Russia is building a rather impressive T-14 tank, which is part of their new series of Armata tracked armored vehicles. Sputnik based this claim of the tank's reported new super-condensers that allow it to start in temperatures as low as -58 degrees Fahrenheit. The problem is that the average temperature on Mars is -80 degrees Fahrenheit, and the tank's internal combustion engine would also probably not be able to handle the Martian atmosphere. 2. That its future MiG-41 will be able to fly in space. The CEO of MiG told reporters in late August that the successor to the MiG-31, the MiG-41, would be able to fly in space. While there are designs for the new interceptor, Russia won't begin building the MiG-41 until the mid-2020s, and it won't be ready for deployment until at least 2035. Most experts doubt Moscow will even have the money for the project. While it's not out of the realm out of possibility for the future MiG-41 to fly in space, given the MiG-31's capabilities, its highly unlikely — if it's even built in the first place. 3. That it's building a 115,000-ton aircraft carrier. In 2015, Russia announced that it plans to build a 100,000-ton aircraft carrier, called Project 23000E Storm, and construction is supposedly going to begin in 2019. However, because of Russia's defense budget cuts, and a shipbuilding industry that is probably not qualified for the task, many have labeled such plans as a "pipe dream." Such a ship would be even bigger than the USS Gerald R. Ford, the biggest carrier in the world. 4. That it's building a nuclear space bomber. In July, Russia said it was building a space shuttle similar to the US' secretive X-37B, but with one difference — it could hit earth with nuclear warheads while in orbit. Ironically, Russia accused the US in 2010 of trying to arm its X-37B, despite the craft being too small to do so. Such a craft violates international law, and most likely will not be built for a number of reasons. 5. That it has nuclear 'mole' missiles planted underwater along the US shoreline. In May, a former spokesman for the Russian Ministry of Defense wrote an article in a Russian tabloid that Moscow was "quietly 'seeding' the US shoreline with nuclear 'mole' missiles ("they dig themselves in and 'sleep' until they are given the command" to detonate. Experts, however, seriously doubted the claim and chalked it up to another arrow in Russia's hybrid warfare quiver.